Nasty conditions at the usual spot led some of the Maui Pink Cap Swimmers (after considerable, lengthy deliberation) to move down the shore to an alternate location. 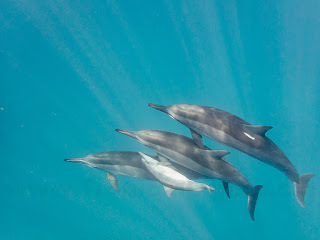 As we began our swim, we were met by 14 Spinner Dolphins including a very young baby. They also swam up to us on our return. 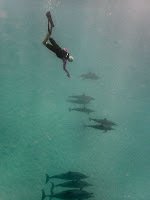 Click HERE for lots more photos of swimmers and dolphins.